The UnSchool's 9th Emerging Leaders Fellowship Program is happening on May 26th! READ ABOUT OUR INCREDIBLE COHORT THEN STAY TUNED TO HEAR ABOUT WHAT WE GET UP TO DURING OUR WEEK TOGETHER. 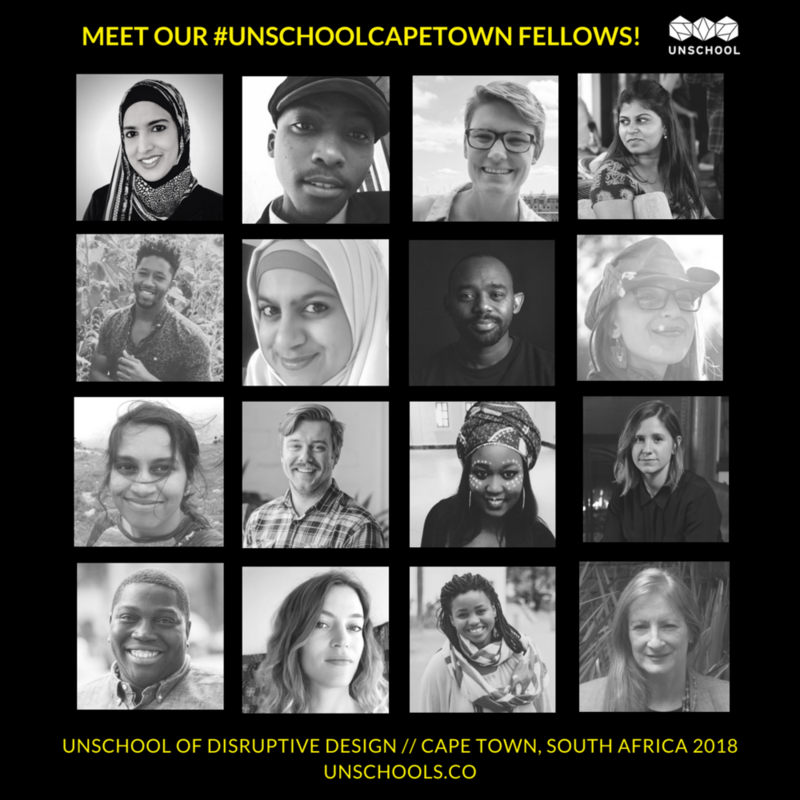 Meet the incredible #UNSCHOOLCAPETOWN cohort of creative rebels and change agents who will join us in CAPE TOWN, SOUTH AFRICA! Neha is passionate about sustainability, textiles and design. After graduating, she worked in the fashion industry for a while. This firsthand experience in this second largest polluting industry changed her perspective completely. Neha started practicing and studying more about it to bring concrete change. At the core, she believes in a multidisciplinary approach towards problem solving. Her current project ‘soot’ is an innovative colorant developed from industrial waste. The idea behind it was to explore and get inspired by the color sources around us instead of using regular chemicals. Neha loves organizing, traveling to unique and untouched places, experiencing new cultures & is fair believer in collaboration. 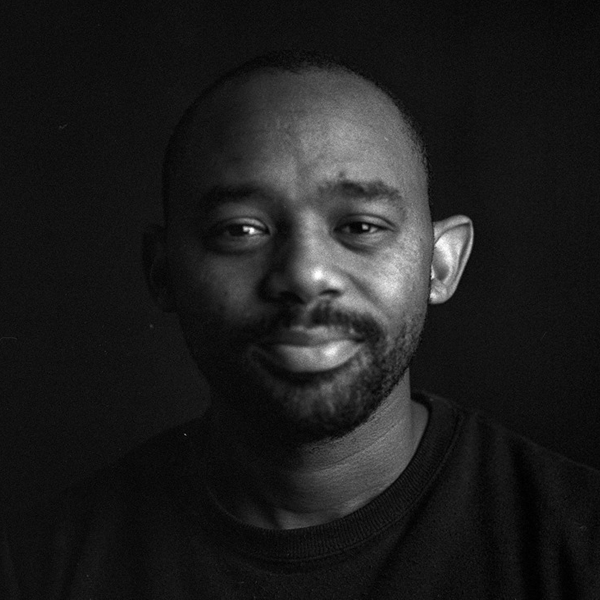 Sizwe’s interest and passion lies in informal settlement development in unison with community participation. Working for Development Action Group and Community Organization Resources Centre as a project coordinator in different kinds of small and big scale projects in informal settlement upgrading around the City of Cape Town and Stellenbosch Municipality has taught him a lot about working with community and project coordination. He has learnt much more than just planning, project managing and drawing maps for these projects. His participatory working process was able to stitch the community back together and built capacity. His work experiences in City of Cape of Town Land Use Management department in the Khayelitsha area, to re-blocking project of Mshini wam and supporting building up of an Informal Settlements Network in the Stellenbosch area, to building grey water drainage channels in the Langrug Community in Franchhoek, makes Sizwe believe that joint responsibility and collaborative approaches of local communities, non-profit and corporate accountability, will contribute greatly towards sustainable development. Zoë is a people person. She feels at home interacting with others and believes in putting this social skill to work. An environmental scientist by training, her role at the Cape Town branch of the engineering and infrastructure advisory firm, Aurecon, includes leading its Design to Innovate approach. Her role is to foster collaboration between diverse thinkers toward adopting more user-centric approaches in infrastructure design. The significance of such co-created infrastructure? Less waste, more sustainability, and happier people. In her spare time, Zoë works as a trustee for the non-profit organization Great Girls, which mentors teenaged women from disadvantaged backgrounds, helping them develop the skills required for either tertiary education or full time employment. Tim digs the ocean; riding waves, swimming under waves, studying waves, as well as, modelling waves and coastal processes. Having graduated as a Coastal Engineer, being the Editor of the world's largest bodyboarding magazine and, recently, designing a floating coastal protection structure for his Masters thesis - Tim's interest in the sea is a common thread. He's a pragmatic problem solver and feels that sea level rise due to climate change is a preeminent challenge that needs action. Tim enjoys learning about the challenges in delivering design solutions for cultures other than his own (fueled by time spent studying in France, New Zealand & Taiwan, and living in China & South Africa), and collaborating in multidisciplinary teams. He believes that not only do designers need to be able to solve problems, but they must be able to clearly communicate their findings and the path forward. Tim feels there is a lot to be learnt, not to mention fun to be had, in getting your hands dirty, whether that is through site visits, prototyping or exploration in a fab/bio lab. Johan (pronounced with a hard J) believes that under the right conditions, none are left out. He was born on the Caribbean island nation known as St. Vincent & the Grenadines, where he spent the first 15 years of his life. Currently, he lives in the US in upstate New York and works to promote sustainable community development. Johan’s goal for joining the Unschool learning community is to sharpen his strategic design toolkit. Ultimately, he'd like to design strategies for social change. During this fellowship, Johan hopes to laugh with and learn from as many interesting people as possible. 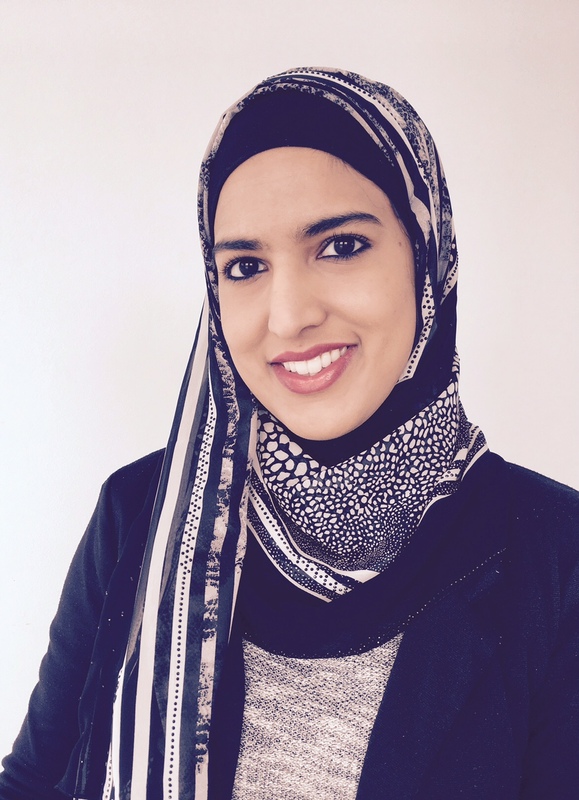 Saleemah is a Program Director for Madina Institute South Africa. She completed her undergraduate studies in Biochemistry and Physiology, followed by honors in Nutrition and Dietetics at the University of Cape Town. She also completed an advanced diploma in Business Project Management. 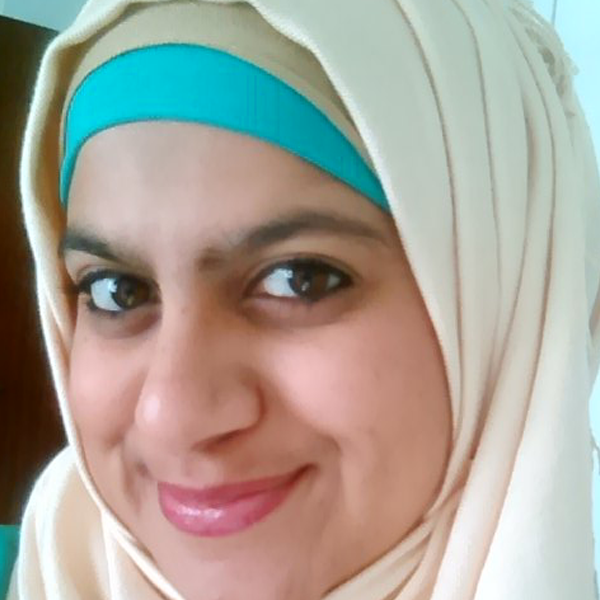 Saleemah is a bit of introvert, loves baking and reading, and has a keen interest in Islamic Spirituality. She is creative and organized, and enjoys playing Uno and drinking tea. She believes youth are not the future - they are the present, and that promoting, and living, messages of love, peace and tolerance is essential in our survival as human beings. Laya has lived her life through negation, so she doesn't have one thing that she cares about intensely. Rather, she deeply cares about many different things - human rights, health, science and innovation, the environment. Leya has a scientific approach to living, and loves questioning everything. She received her degree in pharmaceutical sciences but very early on figured that she was not cut out to work in a corporate environment. She switched fields very quickly to public health, and currently she works on community-based chronic disease prevention programs. Laya is really interested in learning about systems thinking and disruption in the change making world and is ready to be part of a growing network of creative rebels. She wants to start her own non-profit and believes this fellowship experience will help her connect the dots. 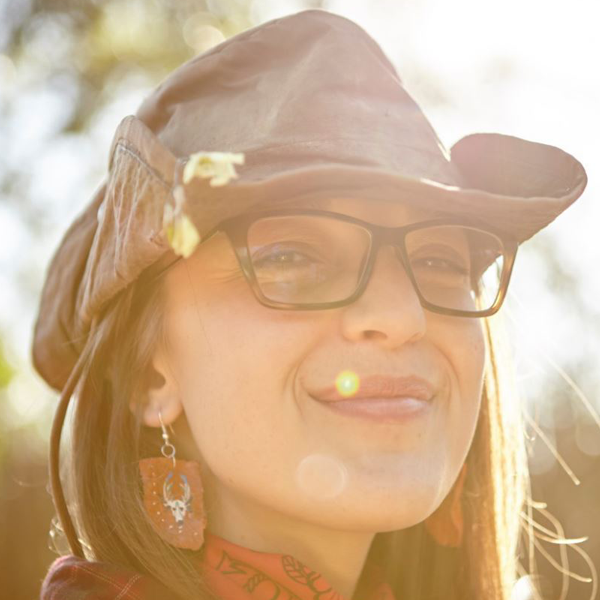 Alyssa Burtt is an artist, a brand strategist, and May 2019 candidate for an MBA in Design Strategy at the California College of the Arts in San Francisco. With a BFA in Visual Arts and a diploma in Graphic and Web Design, she started her first design consultancy in 2007, and has been an entrepreneur ever since. Her current business, Brave Narrative, takes more of an archetypal branding and leadership focus, and she's excited to integrate all that she's learning in grad school to pivot and take her business to the next level. Also enrolled in a 4-year leadership program based on the principles of radical relating and personal responsibility, she is excited to bring together the intersections of her passions, from art, design and branding, to experience design, visionary leadership and social impact into her next entrepreneurial or career iteration. Antonio is a strategic leader with a results-driven reputation. He’s an Operations Manager focusing on HR and people development at Year Up in Seattle, Washington. He leads with authenticity, purpose and integrity, combined with experience working directly with young professionals for over 10 years. Antonio is a social justice warrior and wants to live in a world where we value each other for the thoughts we have, and that creates a more just society and not only the money in our pockets. Through his work in Washington, DC and the non-profit, City Year, he has realized the importance of authentic leadership. Knowing who he is and his place in the world has catapulted him to become an innovative people developer. Antonio is currently working on a personal project that documents the lives of black men in America, giving him and others the right to tell their own story their way. Wafika was born in the Western Cape, in a township called Langa. At 21 years old, he is a web developer and a student who is currently studying at Quirky30. Wafika has also studied mechanics in the metal side. Zimkhitha is a marketing graduate from the Cape Peninsula University of Technology. Currently a student at Quirky30 doing programming, she has gained inspiration from her CEO, Sihle Tshabalala, a self-taught coder, and her mentor, Nwabisa Masiko. Upon joining Quirky 30 she knew nothing about computers and their language. But now she can speak fairly fluently to a computer! Tiahnah recently completed her studies at the Sustainability Institute in Stellenbosch, South Africa where she immersed herself in the alternative learning methodologies. Her time there broadened her understanding of sustainable development. While studying, she worked for Living Lands as a Landscape Mobiliser where she facilitates dialogue on the landscapes by using Theory U principles as a way of connecting perspectives. Projects include working with informal residential areas on water and sanitation monitoring systems; being part of the team to assist provincial government in reviewing the Sustainable Water Management Plan; establishing awareness of indigenous leaders and threatened wetlands and; bridging landscape initiatives. Her interest in understanding human behaviour in relation to sustainability has lead her on many personal journeys in looking for better alternatives to the status quo. She seeks to learn more about how spaces and environment have an influence over those who move through it – and so, aspires towards working with a team of people that want to design and build new living and working spaces that will help people’s everyday decisions be more truthful and direct. Tiahnah recognises her role as a steward of the planet and also finds necessity in acknowledging the connections between environmental degradation and gender inequality. She is therefore, a proud TreeSister. To work towards further connecting people and planet, Tiahnah continues looking for ways and approaches that ignite a more authentic relationship between both. Perris is an innovation strategist with a passion for using design to drive positive shifts in behavior and massive social change. She cut her teeth in big ad agencies and market research consultancies on Fortune 500 clients. Since then, she’s taken the principles she learned from the corporate world to make her dent in the universe: rebranding Greenpeace to radically grow its member base, developing a business model to make fertility treatments more accessible, and designing a social media site to connect female change agents around the world. Today at fuseproject, she is a design consultant for Spring – an accelerator program supporting social enterprises in East Africa and South Asia that impact the lives of adolescent girls. Perris comes from a family of artists and views strategy as a creative act. She believes in the power of constraints, intuition, inclusive design, and diverse teams. When combined and applied in the right ways, anything is possible. Faith Pienaar is a young South African passionate about building just and equitable communities. She is an alumnus of Stellenbosch University where she completed a degree in Viticulture and Oenology and post graduate studies in Marketing. She currently works as a Non-profit Management Fellow at the Accountability Lab and the Democracy Works Foundation, where she is the coordinator of the Integrity Idol South Africa campaign, Her experiences outside of the classroom have seen her committed to asking critical questions on the politics and integrity of transformation at South African universities. Faith was involved in the first wave of the Fees Must Fall protest in 2015; a time that she describes as a difficult but necessary reimagining of South African society. Her activism is motivated by a deep sense of empathy and a commitment to the deepening of a democracy. Outside of her 9 to 5, Faith coordinates leadership development workshops for students in the post school environment across the country. She is a previous International Fellow for the Volunteering for International Professionals Program with the Ministry of Finance in Malaysia, a South African Washington International Program alumni and an Abe Bailey Fellow. Jill is a management consultant at Via-Ability with a focus on organization sustainability through the development of individual abilities and organizational capability. Via-Ability works with diverse perspectives in support of innovative decision making, strategy and systems development at all levels within organizations. Jill is values-driven, people-orientated and highly competent in systems thinking and leadership, strategic decision making and organizational development. She has high levels of personal integrity and is innovative, creative, and analytical with strengths in strategic and normative management. She is dedicated to service leadership, likes to works with small teams and makes interesting, productive things happen. Jill has a demonstrated history of working in the oil, non-profit and academic research industries. She is skilled in using systems thinking to support organizational viability through building personal abilities and organizational capabilities. Jill supports development and learning though one-on-one mentoring and coaching, facilitation of group workshops and lean-in circles of learning. As a servant leader and is committed to empathy, trust, listening, collaboration and integrity, she is focused on communication and building communities with high levels of productive engagement by all stakeholders in the development of innovative, strategic responses to challenges and long-term sustainability. Kausar works as renewable energy consultant primarily involved with solar and wind energy projects. She enjoys working in the energy field and is looking to broaden and develop her skills further. It has become increasingly important for her to use her career as a tool to address the challenges we face in our current environment. Kausar has a keen interest in the circular economy and city resilience, and is passionate about inspiring the next generation through mentorship and education. Did you know that we are restoring a farm in Portugal into our rural campus for UnSchool programs, retreats and all things creative change-making? This year as we set up the main space, we are running small cretaive residency retreats. You can apply now for a 3, 5 or 7 day creative residnecy on the farm! Applications now open for Cape Town fellowship in May! Applications Are Officially Live for Our Cape Town Fellowship Program! This May, we are hosting the UnSchool’s weeklong intensive Emerging Leaders Fellowship program in Cape Town! Applications for this brain-busting adventure for emerging leaders are now open! Our Mumbai Fellowship adventure was an incredible experience, and we’re thrilled to announce that our next one will take place May 26 - June 1, 2018, in the incredible city of Cape Town, South Africa. Cape Town is a microcosm of the world’s imminent social challenges. A city of almost four million people, Cape Town suffers from extreme income inequality. It struggles to supply sufficient housing and education, and is in the midst of the most severe water crisis in its history. Throughout the week, our incredible team and lineup of mentors will guide Fellows through an immersive learning experience in the Disruptive Design Method, Systems Thinking, and creative change making. Build your leadership activation and much, much more at or 9th Emerging Leaders Fellowship! Our Fellowship programs are designed for emerging leaders who want to expand their mental toolsets, develop strong connections with like-minded people, and activate their leadership skills. This opportunity is for the misfits and mavericks of positive change, the curious, Fellowship programsOur and / or for those that are perhaps a little ‘stuck’ in their current positions. We take people from a wide variety of professional backgrounds and provide an immersive and highly engaging (cerebrally and personally) environment for activating change! We always aim to make our programs both accessible and equitable. With that in mind, we offer generous partial scholarships which reduce the cost of participation. Scholarships are awarded on a sliding scale based on demonstrated need and merit. The Design Challenge Day is here! Every Unschool Fellowship involves a unique design challenge that requires the fellows to participation in a time-crunched challenge where they apply the knowledge they gained throughout the week. In line with the themes we’ve explored this week, they worked with their group to choose a problem arena encountered during the week that they were passionate about diving into. Team 1 decided to look at dispelling culturally influenced myths around menstruation, Team 2 chose to address the issue of fast fashion, Team 3 explored fostering curiosity, and Team 4 addressed closing communication gaps between generations. The teams were asked to look at the issues through the week’s overarching theme of collaborative community engagement for positive social and environmental change. With the offer of a possibility to present at the DIF Festival the following week, the fellows had extra motivation to dig deep and present an idea with substance and potential real world impact. The challenge day witnessed our fellows excitedly getting more deeply immersed into systems mapping, observational research, landscaping, synthesizing, prototyping and documenting. They drew from all the resources at hand, even going out into the public and interviewing people on the street and UnSchool team members about all manner of topics. They worked late into the night, fueled by samosas and Pao Bhaji, a Mumbai speciality. The next morning, the fellows grabbed some breakfast and finalized their sketches, taking turns practicing their pitches with Leyla. In these practice sessions, Leyla shared her tactic knowledge on how to create engaging and evocative presentations that help share your vision with the audience. She helped the quieter of our community find their voices and the nervous ones see the excitement in their time on stage. To draw on the inclusive, collaborative and diverse themes of the week, the judging panel took the shape of a peer review format. Seats were assigned to represent Community Stakeholders, Social Impact Feasibility, and The Environment, with each fellow offered the opportunity to rotate seats and view the presentations through each of the lenses. The intense week of collaboratively engaged initiatives provided inspiration and support, as each team did an incredible job with their ideas. The scoring was close - in one case only 1% difference! - and a final winner was selected. With such close scores, however, we were all the appreciative recipients of hearing about positively impactful projects with both heart and substance. The fellowship week thus came to an end with the popping of a giant bottle of bubbles, music, delicious dumplings, and handmade gifts passed around, along with hugs and a few happy tears. Cohost Myrthe transitioned us into a final group session as the fellows reflected on big learning revelations, needs & wishes, and most memorable moments. The entire group then turned inward with an X map activity to identify how to move forward on their personal projects from here. In the final moments, we gathered in a circle to offer thank yous, gratitude, love, availability for collaborations and acknowledgments of the week’s impact on each of us. Leyla and the team also offered themselves up as peer mentors if any of the fellows wanted help moving forward with their challenge projects. With inspired hearts, we drew out the goodbyes (or see-you-laters) for as long as possible and finally parted ways - now all part of the UnSchool Alumni family. See you at the next UnSchool creative change-making adventure! Perses (Envision, Earthsoul india and Converging World) develops multiple projects to fight climate change and create positive environmental interventions at a macro level. Among many things, he has developed compostable plastics, is prototyping a Graphene battery for electric cars, a spray that re-nourishes the organisms in the ocean and a program that involves re-foresting Tamil Nadu via wind farm investment. Nishi works with Akaar Innovations, a hybrid social enterprise with 2 main initiatives - one which makes affordable compostable sanitary napkins in micro factories run by and for women, and an education arm that increases hygiene awareness, dismantles taboos, and normalizes menstruation (#FreedomFromShame). Nimish has developed a clothing and accessory brand, Shift, that makes beautiful artisanal products with a range of sustainable and traditional materials, end of line fabrics, and smart cutting to minimize waste. Remnants left over from cutting are turned into blankets, while fibers left over from blankets are turned into paper. Nimish works with regional artisans from all over India who operate their own small home productions to both support and grow craft traditions while working towards a circular production system. After a short snack and coffee break, Sonia Manchanda from Spread took the fellows on a dream catching journey. Sonia has developed a methodology, Dream:In, that maps dreams, moving away from immediate needs towards expanding possibilities. She feels strongly that by looking beyond immediate needs, we look to create something that actually fulfills deeper needs and takes the future into account. Working towards your own dreams and connecting to other people's dreams is part of her approach to creating systems that provide equitable opportunities. She aims to sensitize society, to catalyze solutions and to demonstrate results by mobilizing talent and resources. 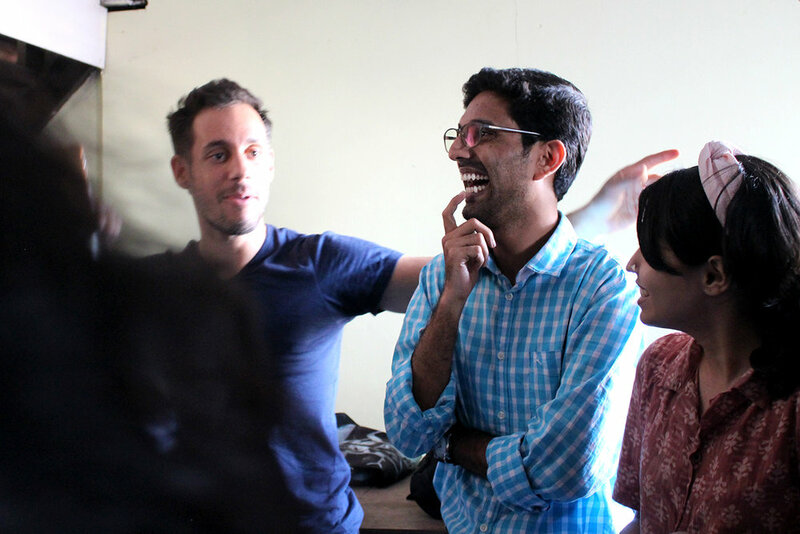 The fellows went on to uncover each other’s dreams, putting the Dream:In tool into practice. The tool probed us to dig further towards our underlying social impact dreams. Captured on video, the dreams were shared over a wholesome lunch of pasta, vegetables, salads and dips cooked by the UnSchool Team. Inspired and activated we kicked off our last session with our mentor, Dagny, who asked the fellows to reflect on the experiences of the previous day in 10 words. Tangential word clusters came out of this exercise and included community, connection, chaos, inspiration and learning. The various word clusters brought to light how the same experiences impact each individual differently. This exploration of the plurality of experience triggered the fellows to delve into deeper thoughts on perspectives and possibilities. Dagny advanced this self-reflective session to a structured reflection on the impact of the individual projects that the fellows are working on in their lives. They were mentored to dig deep about the impact of their projects on the environment through the UN Social Life Cycle Assessment (S-LCA). This 20 minute exercise enabled each participant to create connections in their work, through the lens of sustainability. To round out the session, the fellows heard about Dagny’s project Vessel - stainless steel mugs based on a library system where subscribers pick up and drop off their mugs at convenient participating coffee shops - a disruptive solution to the environmental issue of paper cups. To bring together the themes of the day, our co-host Myrthe asked the fellows to write a letter to their future selves (which she will mail them one year from today!). She invited them to write in the context of having achieved their social impact dreams, and how this fellowship had contributed to that process --- a memento of their Unschool-ing experience. Reading their own letters one year from now will offer them deeper insights on their growth post Unschool, the struggles they had to overcome to achieve their positive impact dreams, and the sweet spots along the way. Reminding ourselves of the roots of where we started is an inspirational light to motivate further progress. Setting the stage for the final fellowship challenge, Leyla led the fellows through an interactive session on the Disruptive Design Method (DDM), recounting the experiences throughout the week and exploring the DDM approaches of Mining, Landscaping & Building. Then with activated brains, the fellows participated in a fun mini-quest designed by our local producer, Priyam. The quest: a hunt for glass, wood, fabric and metal treasures. Contained within the hidden treasures was key information about the challenge teams. Embracing the gamified tactic, the teams found each other and began to identify their problem arena for the final challenge that will culminate the fellowship week. That’s it for Day 5. #UnSchoolMB needs to rest up and recharge those brain cells for the upcoming 24 Hour Design Challenge. An action-packed day in the field meant an early 7am start for #UnSchoolMB. As the last fellow sneaked in the back of our awesome BEST bus in an attempt to avoid the (often rather embarrassing) consequences of breaking the don’t-be-late-rule, we headed out for a series of experiences. En route, Leyla and co-host, Sri, led a feedback session reflecting on the mini-gamification challenge from the night before. We were entertained as we talked through all the motivations and game mechanics that were drawn upon to create the gamified experiences, while balancing ourselves on the moving bus. Designing games that make change is not as easy as you think it might be, and the fellows helped to dissect the ways in which games can have a positive learning experience. At the peak of the morning city bustle, we arrived at Mumbai Dhobi Ghat: The World’s Largest Open-Air Washerman Colony and were met by our insightful guides, Suraj, Hitesh and Jatin from Reality Tours & Travels. Before leaving the bus, Leyla took the fellows through ways of respectfully engaging with people in their own community, while seeking to gain insights and understanding. With open minds, we followed the local experts from Reality Tours (an ethical tour company that hires local guides and donates 80% of their profits to educational initiatives in Mumbai's slums) into the Dhobi Ghat. Home to over 7,000 washermen (or Dhobis), the dhobis clean, scrub, bleach and iron (with an iron heated by coals!) an estimated one million items a day. Their clients include hotels, clubs, caterers, garment retailers and neighborhood laundries. Traditionally, the washing has always been done in concrete washing basins, however in recent years, some wealthier Dhobis have invested in large washing and drying machines, halving the colony’s population. Further automatization is expected, and concern for the subsequent reduction in jobs is a big concern throughout the community. Manoeuvring between the washing cubicles, fast-spinning tumble dryers, and endless lines of drying garments (in a unique clothespin-free way), we observed a tight-knit community that works and lives in tight spaces. In this incredibly complex city within a city, temples, kitchens, sleeping areas, shops and services blend together in a highly tolerant and interconnected space. Next we were hosted by Dharavi Diary, founded by Nawneet Ranjan and guided by a mission to empower Mumbai youth, especially girls and women, living on the fringes of urban & rural lower income communities. Through STEAM learning, storytelling and skill-building, they quickly develop skills to become innovative leaders. We were welcomed by their warm and hospitable students, who guided us through Dharavi (Asia’s second largest slum) showing us several of the hundreds of waste recycling micro-businesses that receive thousands of tons of used plastic, paper, metals and other materials every month to break down and resell. We witnessed ‘jugaad’ in action (the Hindi word describing hacks and workarounds to find flexible solutions), along with the incredible amount of material that we consume, and then have to deal with on a daily basis. 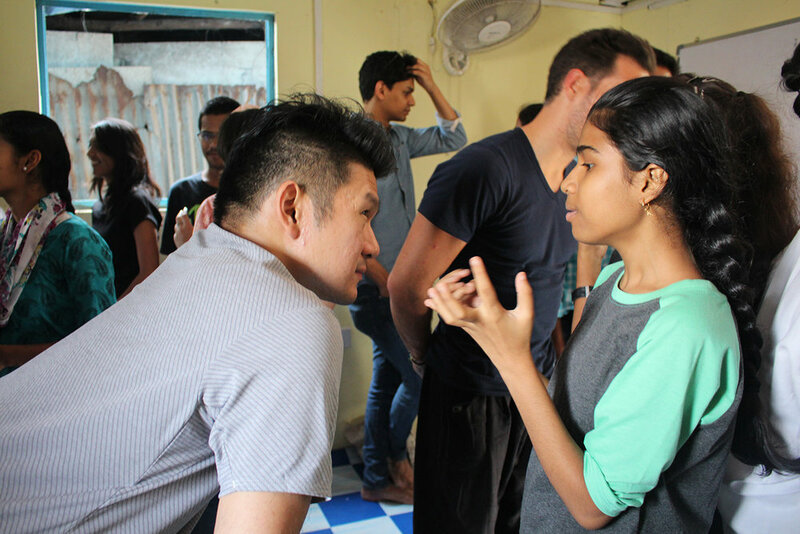 After a locally prepared lunch with the students, served on plates made of leaves, we created mixed groups of UnSchool fellows and Dharavi Diary students to explore the contrasts, challenges and opportunities that we engaged with during the day. 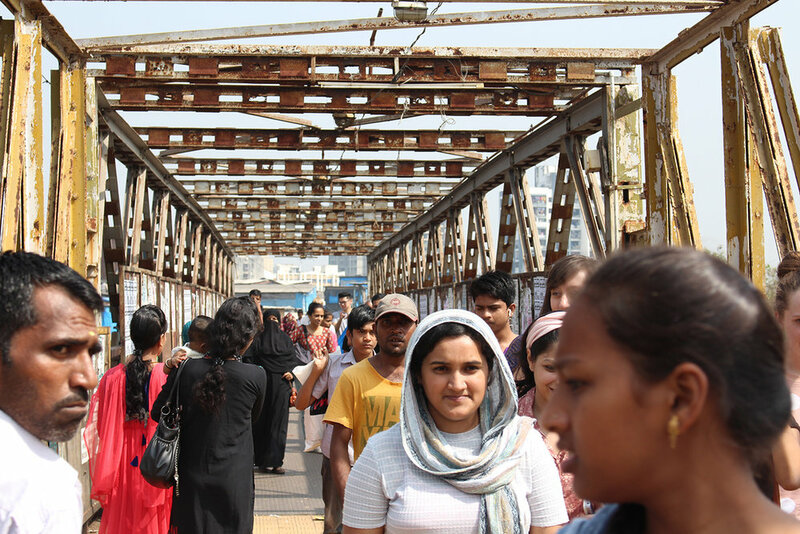 The groups delved into some of the complex realities faced by the people who live in Dharavi, using a systems thinking approach. Together, we explored environmental issues, education, gender inequality, women in leadership, social work and adventure. New insights and beautifully articulated, creative, possible solutions were presented by the groups as they collaborated to gain a deeper understanding of the social and environmental complexities surrounding us. The afternoon session filled us with awe, humility and hope, as we hugged goodbye (for now), and traded contact information with our new Dharavi Diary friends. Day 4 of #UnSchoolMB was full of new perspectives, fresh insights, and a whirlwind of emotions. We were tired and reflective as we made our way through the ever-present Mumbai traffic… until an impromptu dance party got us jumping around the aisles of the BEST bus as we wove our way through the evening light.